Below you fill find all funeral homes and cemeteries in or near Crowley. Their current mayor is Mayor Robert Loftin. Zip codes in the city: 76036. Some of the notable people born here have been: Gary Reasons (american football player), and Bryan Bertino (screenwriter and film director). It was written on November 4th, 2018 that William Wynn Joness perished in Crowley, Texas. Joness was 63 years old and was born in Roanoke, VA. Send flowers to express your sorrow and honor William Wynn's life. It was reported on April 28th, 2013 that Joretta Jean Cook (Bunnington) passed away in Crowley, Texas. Ms. Cook was 82 years old and was born in Peoria, IL. Send flowers to share your condolences and honor Joretta Jean's life. It was reported on December 19th, 2012 that Roselynn Shannon Smith (Haugherty) died in Crowley, Texas. Ms. Smith was 84 years old. Send flowers to express your sympathy and honor Roselynn Shannon's life. It was disclosed on May 4th, 2012 that Carol Davis (Dunklin) perished in Crowley, Texas. Ms. Davis was 60 years old and was born in Comanche, OK. Send flowers to express your sympathy and honor Carol's life. It was noted on April 8th, 2012 that Fern Kinlein (Stanley) perished in Baton Rouge, Louisiana. Ms. Kinlein was 86 years old and was born in Crowley, TX. Send flowers to express your sympathy and honor Fern's life. It was noted on March 28th, 2012 that Marjorie L "Marge" Brecheisen (Kendall) died in Crowley, Texas. Ms. Brecheisen was 88 years old and was born in Topeka, KS. Send flowers to express your sympathy and honor Marjorie L "Marge"'s life. It was revealed on March 8th, 2012 that Magdalena "YaYa" Martinez (Torres) passed on in Crowley, Texas. Ms. Martinez was 91 years old and was born in Monterrey, . Send flowers to express your sorrow and honor Magdalena "YaYa"'s life. It was revealed on July 21st, 2011 that Attie T Savelle (Snow) passed on in Henryetta, Oklahoma. Ms. Savelle was 81 years old and was born in Crowley, TX. Send flowers to express your sorrow and honor Attie T's life. It was revealed by Odessa American on June 25th, 2002 that Julius William "Jack" Moon passed away in Crowley, Texas. Moon was 76 years old. Send flowers to express your sympathy and honor Julius William "Jack"'s life. 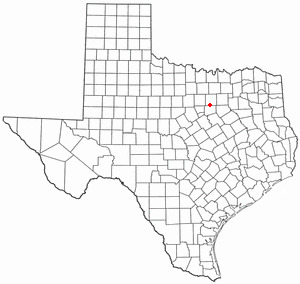 Crowley is a city in Johnson County, Texas and Tarrant County, Texas counties in the US state of Texas; virtually all of the city is in Tarrant County, with only about .01 square mile in Johnson County. The first station depot was built in 1885. The settlement moved a mile or so west to the site of present day downtown Crowley when the Gulf, Colorado & Santa Fe Railroad built pens and laid tracks there. The population was 7,467 at the United States Census, 2000 census. Around 1848, pioneers began farming the area around Deer Creek. Crowley, who was the master of transportation for the railroad. The official website for the city of Crowley is http://www.ci.crowley.tx.us/. florists for Crowley, TX. Find phone numbers, addresses, maps, driving directions and reviews for florists in Crowley, TX. Find a Funeral Home inCrowley, Texas TX to provide the caring burial and ceremonial services your family deserves. Crowley Funeral planning made easy! Learn how to pre-plan your funeral in Crowley, Texas, including step-by-step directions. Baumgardner Funeral Homes, Crowley, TX : Reviews and maps - Yahoo! Local, 817.297.1116. Get Ratings, Reviews, Photos and more on Yahoo! Local. We work with local florists and flower shops to offer same day delivery. You will find budget sympathy flowers in Crowley here. Our funeral flowers are cheap in price but not in value.